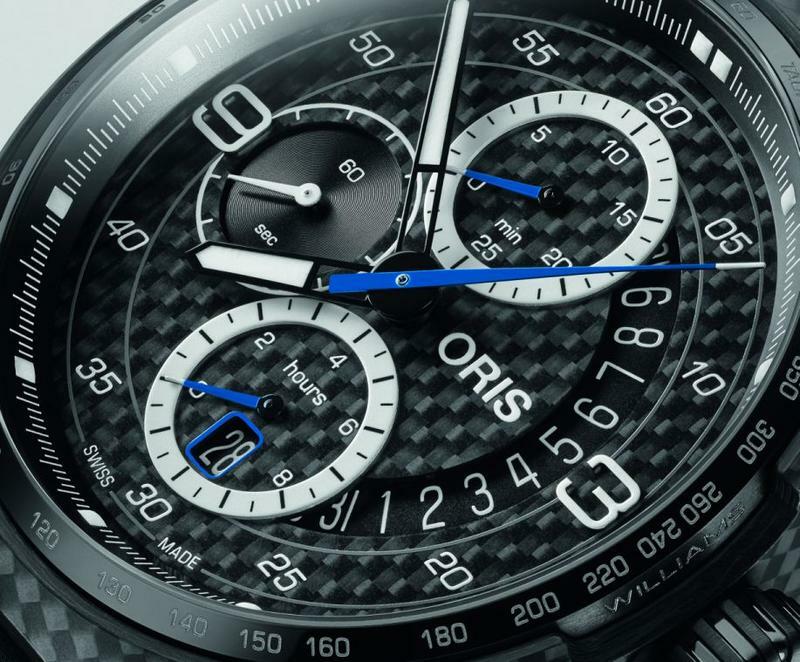 Oris and the Williams Racing Formula 1 Team continue their long-standing partnership with the Oris Williams FW41 Limited Edition, a watch inspired by the 2018 Williams FW41 race car. The case, in carbon fiber and black titanium DLC, measures 44mm. 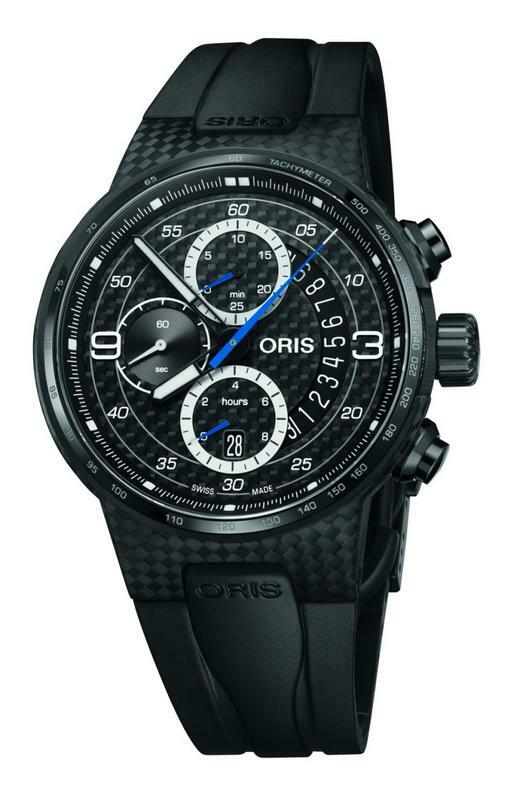 It has an AR-coated sapphire crystal, an engraved caseback, and it is water resistant to 100 meters. Movement is the Swiss automatic Oris caliber 774 (base Sellita SW500) with 25 jewels, 28,800 vph and a power reserve of 48 hours. Oris red rotor.